Kazem Saher, Iraqi singer and composer, born September 12, 1957 in Mosul, in Iraq. 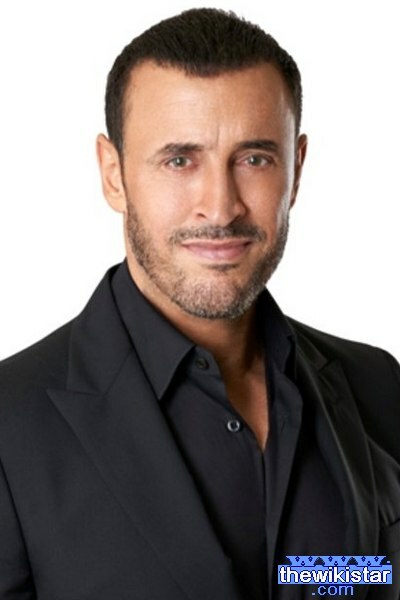 Kazem Saher was born on September 12, 1957 in Mosul, in Iraq, is known for his songs that tune all by himself so far with the exception of some of the songs are very few that hired the others Bmlhanin. The most important of his many titles, "the Iraqi ambassador to the song" and "Caesar Arab Song," which was granted to him late Syrian poet Nizar Qabbani. His two sons, Sam and Omar, and his granddaughter older than his son Sam, Kadhim grew up in a very small house amid a family of seven brothers were Abbas, Hassan, Hussein, Ali, Muhammad Salim, Ibrahim, and two sisters, Princess of Fatima, as a youngster, the family moved from the city of Mosul to Hurriya district in Baghdad, by virtue of the work of his father. He lived Saher many tribulations because of his poverty he says motivated him was the basis of solid character, which is characterized by, he discovered he has artistic gestures when he was 12 where he was sitting with his brother Hassan in the car and are listening to Mohamed Abdel Wahab, and being raised in a poor family was dependent on the same was working in vacations sells ice cream (he says, "where I stayed out in the sun all day, Vmapt ice cream and did not sell any of them") and books, and worked in a factory for the fabric to collect the price of the first musical instrument (harp) and their price is 12 dinars, and then learning to play the guitar and then machine lute. He studied music six years in Musical Studies Institute in Baghdad, and the melody first song titled "Where are you" just a year after entering the institute, he worked professor of history, and studied music for pupils for a year and Ncef.aan milestone for items of art and music in Carpeh School and Banata a village of Akre in northern Iraq late seventies of the last century, as well as carrying Iraqi nationality to both Canadian and Qatari citizenship. He began his art through its collaboration with the poet happiest Ghurairy in 1984, where he released his debut album entitled (olive tree) and then collaborated with the poet Aziz painter then with the famous poet Karim Al Iraqi in the introduction to the series "Nadia" was titled "The Traveler" in 1987, and was the first successes art in 1989 in the song "crossed the coast," then he traveled to Kuwait and then Beirut, which inspired him with songs such as "I got to the Sea" and "this color" and "a lot of talk," and "I Khertk Fajtari," was his first collaboration with the poet and then "Sidena Loving" and "School love" Alltien Djaltah considered one of the best Arab singers. Making his songs live up to the global level. Saher was not only singing and composing, but like in the series "The Traveler" and was a hero to him, and is considered the series as a photographer for the album to provide business Saher. It was selected the documentary My Country within my home-nominated films Best Documentary and was Kazem Saher has put music and the song "Hey national Good Morning" for the film after the chosen team specially for it. And Kazem Saher is the only Arab artist who sang at the Royal Hall in Britain is the second artist in the world after Madonna, who got the key to the city of Sydney. For his songs ranging from 4 minutes to 16 minutes Basttinaogneh "No, my friend," which of up to 47 minutes a reference to the Giants us of the time. In addition to the song Nye and issued individually, one of Prince Badr bin Abdul Muhsin Muhammad Shafiq and composed lyrics. As well as Ouperet Gulf 17. Among the most important works Kazem Saher in composing at all poem collar Jasmine Nizar Qabbani, who composed the Lebanese singer Majida Roumi and co-distributed with Egyptian maestro Dr. Khaled Fouad, who was the leader of his band for a while, and cooperation as well as singer George with the will, which he re-sing a song Slmtk hands of God, as the tune album impossibility singer Tunisia's Latifa Arfaoui It is an album with lyrics lyric poet of the late Abdul Wahab Mohammed and melody as well as a poem of Nizar Qabbani, the "why" of the singer Ghada Ragab as the completion of a duet with Moroccan singer Asma Lamnawar, one of this duet named "the Court". Kazem Saher collaborated with many distinguished poets like Nizar Qabbani, Karim Aziz, the Iraqi painter, happiest Ghurairy, D.mana Saeed Al Otaiba, Talal Al-Rasheed, a prisoner of longing, Sheikh Mohammed bin Rashid Al Maktoum, Prince Abdul Rahman bin Assistant and Prince Badr bin Abdul Mohsen and Kadhim al-Saadi, and many others. And cooperation with the distributor: d. Fathallah Ahmed. Olive Tree (1984) - Gazelle (1989) - No, my friend (1990) - Aziz (1991) - Rejoice (1992) - pant Alaaepk (1993) - safety-PG (1994) - After Love (1995) - a difficult high ( 1996) - Wash cold (1996) - School of love (1997) - I and Leila (1998) - Sweetie and rain (1999) - impossible love (2000) - looking for you (2001) - the story of two lovers (2002) - barefoot (2003) - Melina dimension (2004) - a schoolgirl (2004) - ended the journey (2005) - Diary of a defeated man (2007) - pictures (2008) - drawing with words (2009) - la tazeedeeh lowa'a (2011). Sang Kazem Saher many national and nationalist songs, including: catcher Udi richest of the country's Arab - Uh oh Arabs - human - O Jerusalem - wander in Tunis - HLA Bahaloh tan (Tunisia) - Dora East (Jordan) - Belle Amman (Jordan) - Alu from me (Egypt) - bride love (Libya) - Forget Daei (Morocco) - Slumbly on the Doha - O Lord, Protect Algeria - Beirut - Syria Mushtaq O - million kiss me (UAE). One of his songs in Iraq: to Aziz greeting - Baghdad does not agonize - remember - the Almighty accept your face - the shepherds and the fire - a lot of talk - oh national Good Morning - peace you on Ravedak ​​- Oh national Good Morning - the city of love - your family Wayne O house Habayeb - headband Ras - Arostna and we took - FAW Arabs. Karam from England, France, Italy, America, Canada, Malaysia, Algeria, Morocco, Egypt, Tunisia and the generosity of the Iraqi people. - Oscar Arab song and the title song of the Iraqi ambassador from Baghdad in 1996. - Innovation and necklace from Baghdad in 1997 at the national theater. - Medal of Excellence behest of King Hussein and Queen Noor handed over the medal in 2000/2001. - The Order of Merit of the Tunisian Ministry of Culture in 2000. - The best Arabic singer Award and Knight Arab poem and song in 2001 in Egypt during the Seventh International Song Festival. - Award for the best Arabic singer in Lebanon in 2001. - Almiurks Award in 2004. - The best singer in the Middle East in a referendum Brazilian radio in 2002. - World Music Award for the Middle East and North Africa, Iran and the award for the category of listeners in 2004. - Order of Merit for the second time in Tunisia in 2004 and delivered a speech of President Zine El Abidine honor. - Honored by many newspapers and magazines in Arabic and festivals across the nation. And he wrote about the largest foreign newspapers in France, Italy and the United States, Malaysia, and talked about a lot of foreign radio stations. - Got the key to the city of Fez in Morocco ancient archaeological 2005. The second is who gets this key after the great artist Syrian Sabah Fakhri. - Arab singer said months in Asia, according to Media Network Alondnoch poll. - Karam by the Emir of Qatar for the operetta opening 17 Gulf Cup in Doha. - The generosity of the Arab Women's Society by Mrs. Suzanne Mubarak, the Egyptian head of the isolated campus. - United Nations Award for Educational, Scientific and Cultural Organization (UNESCO). - Aljordn Ooord prize for the best Arab singer for the year 2010. - A song I and Leila: sixth place globally referendum currency the BBC. - A song Hahabiba: Best Arabic song in 1996 during the first Arab Song Festival in Cairo. - Remember: an award from UNICEF and been translated into 18 languages ​​song. - A song I hate it: the best video clip in the music video festival in Alexandria in 1999. - Dla song: Sndo s Award of the United Nations Children's Fund (UNICEF).